Courchevel 1850 has long been the destination of choice for luxury seekers in search of a ski break not too far from home, attracting A-listers and HNWIs the world over. Holidaymakers looking for a slightly quieter option in the area that still packs a punch when it comes to extravagance should consider Courchevel Village- previously considered somewhat of a backwater - now firmly on the luxury map thanks to a recent influx of exclusive chalets in the area. Stay at Chalet Le 1550 - a beautiful property with panoramic views across the Three Valleys, sleeping up to 10 adults and 4 children. 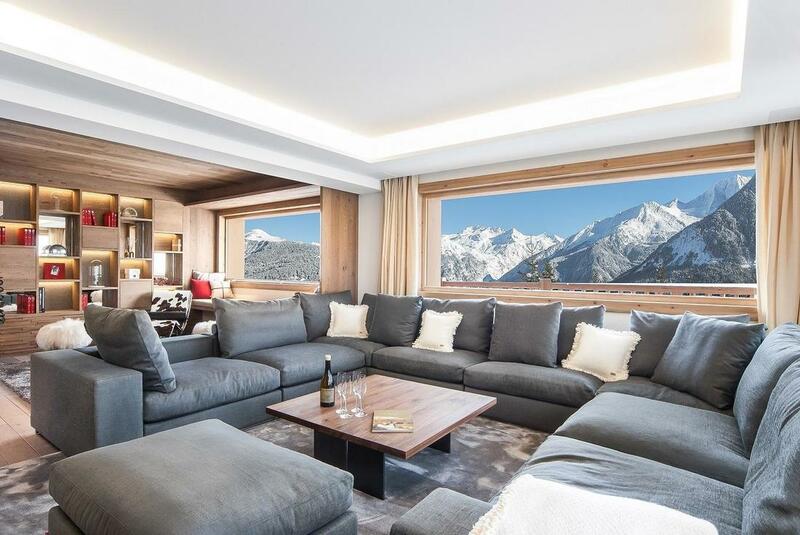 Traditional Savoyard architecture blends expertly with clean, modern interiors, with huge picture windows and sliding glass doors making the most of the views. Luxe touches include a private gym, indoor pool, massage room, sauna and boot room with boot heaters; plus a large outdoor terrace, complete with Jacuzzi. The perfect spot for some serious R&R not too far from the glitz and glamour of Courchevel 1850. ​Priced from £1,450 per person per week based on 10 adults sharing. ​This elegant Italian resort in the heart of the Dolomites holds a quietly glamorous reputation, attracting serious skiers the world over thanks to its uncrowded slopes. Luxury chalets have been few and far between in Cortina(despite its fantastic retail scene), but that’s all set to change thanks to the opening of a brand new luxury ‘village’ in the heart of the exclusive Via Mendardi area. Chalet LV01 Dolce Vita is one of the village’s three exceptional brand new chalets available to hire for the first time for the Winter 2016/17 season; one of my favourite new additions to our collection. 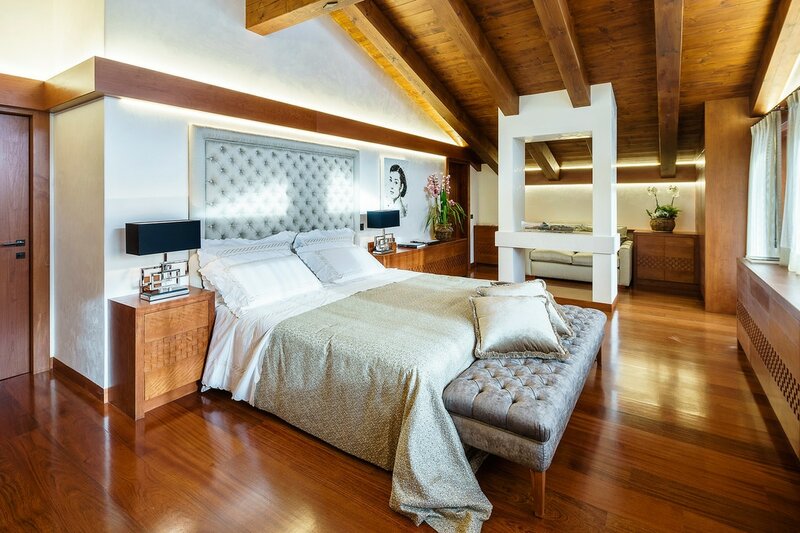 Sleeping up to 8 guests across 4 en-suite bedrooms, luxury ski living simply doesn’t come much better than this. Opulent furnishings sit alongside top of the range technology, crackling fireplaces bring warmth to spacious living areas; there’s even a sound proofed cinema and a fully-stocked wine cellar at your disposal. The basement homes an excellent spa, complete with 20 metre pool and you needn’t lift a finger; a butler is on hand to tend to your every need, 24 hours per day. Priced from £5,375 per person per week based on 8 sharing. ​Despite Finland being firmly on the map for winter-themed escapes, its buoyant ski scene is all too often overlooked by luxury-seekers in favour of the world renowned glamour of the Alps. The area itself has recently benefitted from hugely improved infrastructure, leading to a raft of luxury accommodation openings, as well as an excellent shop, spa and restaurant scene. Those seeking style with the benefit of seclusion need look no further than Chalet Levin Sky in Finland’s popular resort of Levi. Found in the exclusive Utsuvaara neighbourhood, the chalet is the epitome of rustic-luxe; ancient woodland cabin on the outside, sleek modern hideaway on the inside. 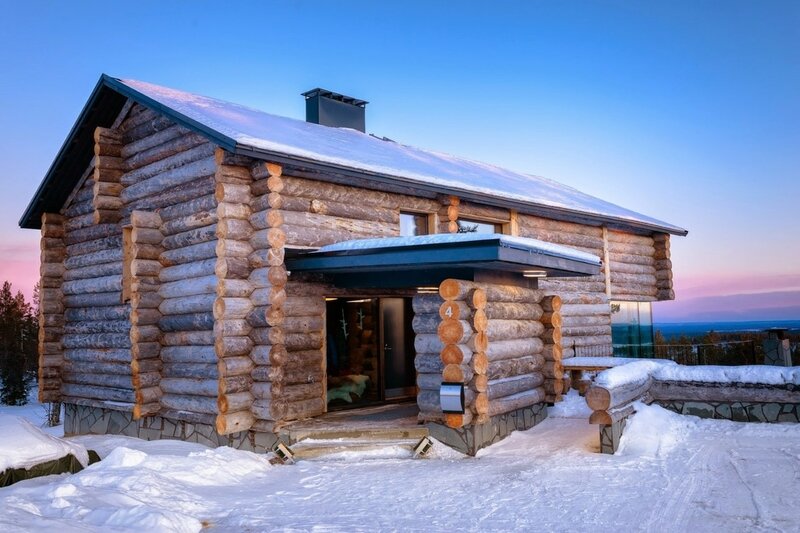 Sleeping 12 across 6 bedrooms, this ski-in, ski-out escape homes luxuries including designer furniture, under-floor heating, its own sauna and spa, and immense log walls. Outside, there’s an outdoor fireplace and Jacuzzi; the perfect spot for northern lights hunting. ​Utah’s glistening slopes are set to become more accessible to luxury travellers than ever before thanks to Delta’s plans to launch direct flights from London Heathrow- Salt Lake City three times per week throughout the 2016/17 winter season. As a result, I predict that the unique ranch-style resort of Steamboat Springs will become somewhat of a rising star in the luxury ski travel world; offering a raft of impressive chalets and renowned for its ‘Champagne Powder’ snow which falls in abundance every season. Head to Graystone Lodge - an exceptional newly built chalet- offering up to 10 guests truly 5* amenities and incredible mountain views. With an open plan design, guests can expect grand vaulted ceilings, wooden floors and huge picture windows plus plenty to keep them amused in the TV and games room on the ground floor; including a private bar, pool table and even an X-box console. Those with energy to spare can work out in the fitness room, sweat it out in the private sauna or can simply sit back in their own private hot tub on the patio. ​Japan’s pristine slopes have arguably been one of the best kept secrets of the ski world, historically far from the radar of the average luxury ski traveller here in the UK; until now. Perfect for those in search of deep powder without the crowds, we recommend heading to Niseko; home to a cluster of fantastic ski resorts set against the backdrop of Mount Yotai, boasting bountiful snowfall year-on-year, great off-piste skiing and a buzzing après scene. 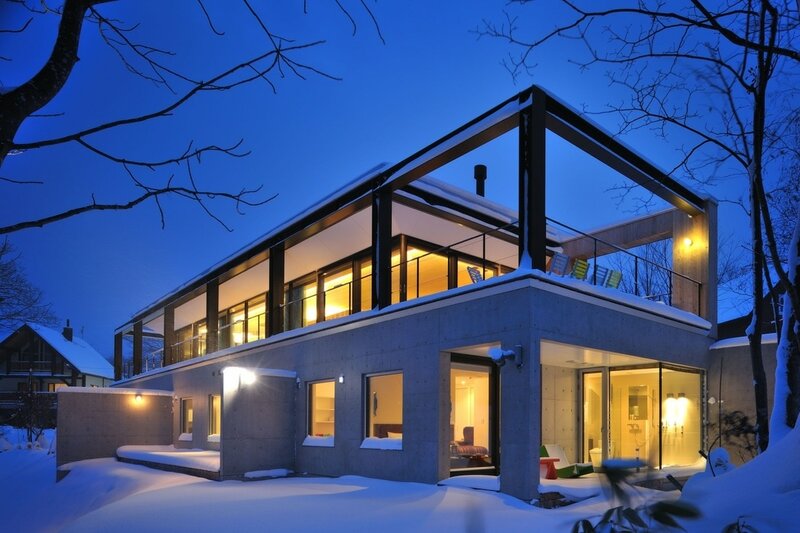 For a chalet like no other, stay at Glasshouse – an exceptional property in Niseko-Hirafu village with seriously impressive design credentials. Sleeping up to 10 guests, this 5-bedroomed chalet offers space and light in spades, with floor-to-ceiling windows, open plan living areas and ultra-modern interiors. 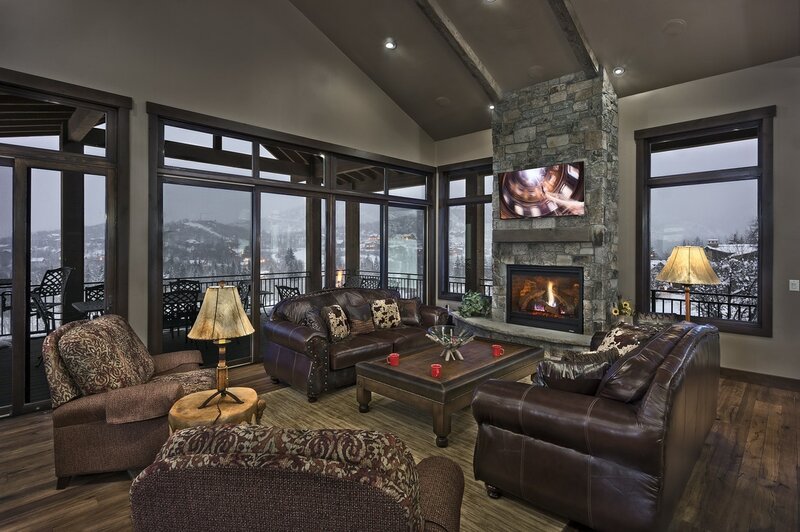 Outside, multiple terraces and a hot tub offer the perfect spots from which to enjoy the view, or guests can simply cosy up by the quirky ceiling-drop fireplace after a long day on the slopes. ​Bulgaria hasn’t typically been synonymous with the word ‘luxury’, but that’s slowly set to change thanks to an increasing number of boutique ski properties opening their doors to guests; notably in the Rhodhope Mountains. Ideal for those in search of the type of privacy that many of the more mainstream Alpine resorts simply can’t afford, the Pamporovo ski resort offers great skiing ideal for beginners or those looking to take it easy, with well-maintained pistes and typically good visibility. One of the forerunners of ski luxury in the area is Villa Gella - an authentic chalet for up to 12 guests in the picturesque village of Gela. Sleek in design, the chalet itself boasts modern interiors with neutral fabrics and plenty of nods to the surrounding mountainscape, plus a large terrace complete with outdoor dining area and incredible two hundred and eighty degree views of the surrounding mountains. Family run, the chalet goes above and beyond to offer a warm, personal service to guests; not least when it comes to the food. 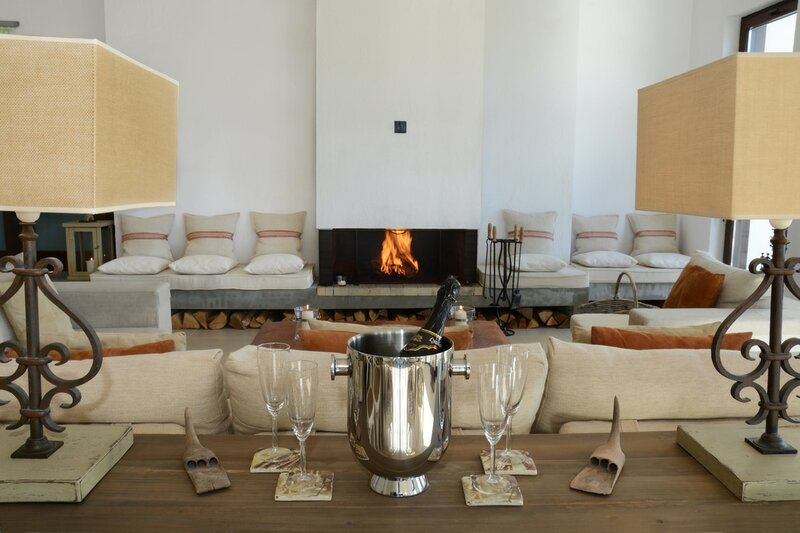 Dimka, the owner’s mother, prepares exceptional daily meals, from traditional bread and Rakia on arrival to locally-sourced delicacies in the evening, paired with award-winning wines from the families’ Terra Tangra vineyard. After all that food, simply sit back and relax in Villa Gella’s in-house spa, complete with ten metre indoor jet swimming pool, steam room, gym and treatment area.